The Murders in the Rue Morgue is a short story by Edgar Allan Poe published in Graham's Magazine in 1841. It has been described as the first modern detective story; Poe referred to it as one of his tales of ratiocination. C. Auguste Dupin is a man in Paris who solves th... read full description below. 11 March 2019 by Blurb, Inc. 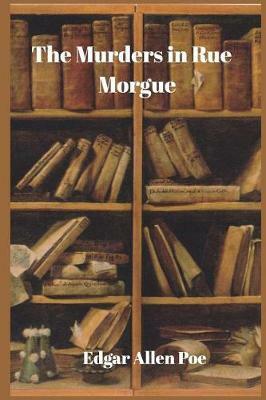 The Murders in the Rue Morgue is a short story by Edgar Allan Poe published in Graham's Magazine in 1841. It has been described as the first modern detective story; Poe referred to it as one of his tales of ratiocination. C. Auguste Dupin is a man in Paris who solves the mystery of the brutal murder of two women. Numerous witnesses heard a suspect, though no one agrees on what language was spoken. At the murder scene, Dupin finds a hair that does not appear to be human. As the first fictional detective, Poe's Dupin displays many traits which became literary conventions in subsequent fictional detectives, including Sherlock Holmes and Hercule Poirot. Many later characters, for example, follow Poe's model of the brilliant detective, his personal friend who serves as narrator, and the final revelation being presented before the reasoning that leads up to it. Dupin himself reappears in The Mystery of Marie Rog t and The Purloined Letter.